The concrete work at 5 MLK is expected to be complete in September. The 200′ tall building will include approximately 112,000 sq ft of office space, 220 residential apartments and 14,000 sq ft of retail space. 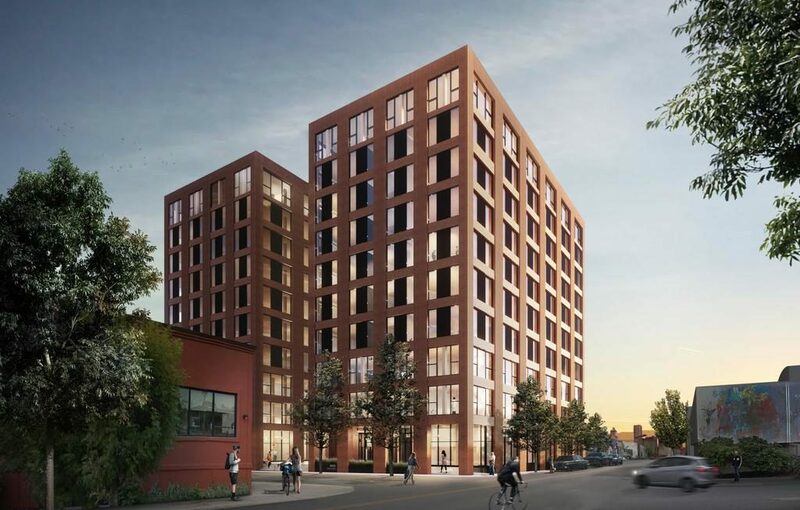 The City Council will vote this summer on whether to expand bicycle parking requirements for new development, writes the Willamette Week. 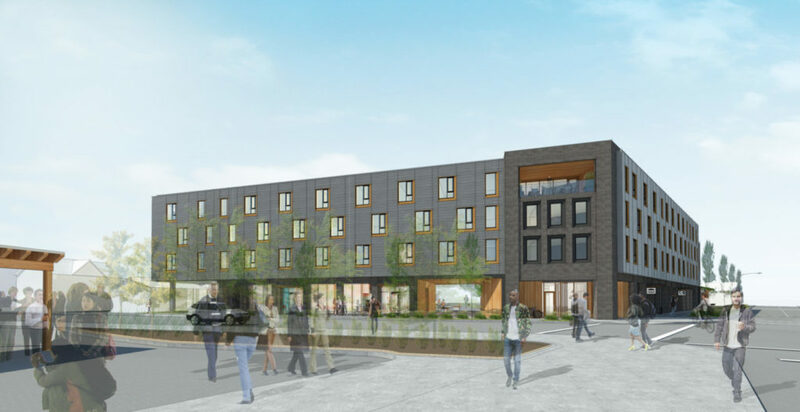 The Portland Housing Bureau announced funding for two affordable developments in East Portland, totaling 126 new units. Powellhurst Place at 5403 SE 122nd Ave will consist of 65 one- and two-bedroom apartments. The 63 apartments at the Garden Park Estates at 3124-3234 SE 136th Ave will be rehabilitated or completely replaced, with 61 new apartments added. Governor Brown signed the nation’s first statewide rent control law, reports the Oregonian. The law, which comes into effect immediately, caps rent increases in units over 15 years old at 7 percent plus inflation. 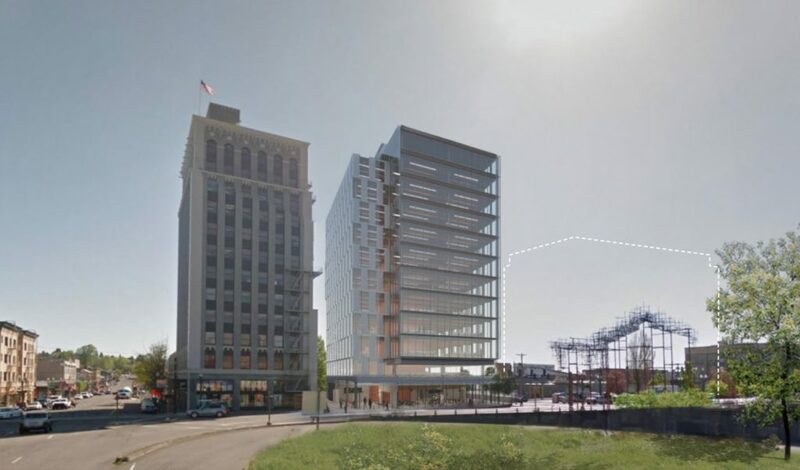 The former Premier Gear & Machine Works building is being converted to creative office space by LRS Architects and Sturgeon Development Partners. With the pending construction of Block 216 set to displace the 10th and Alder food carts, the city is studying the possibilities for a ‘Culinary Corridor’*, writes the Daily Journal of Commerce. 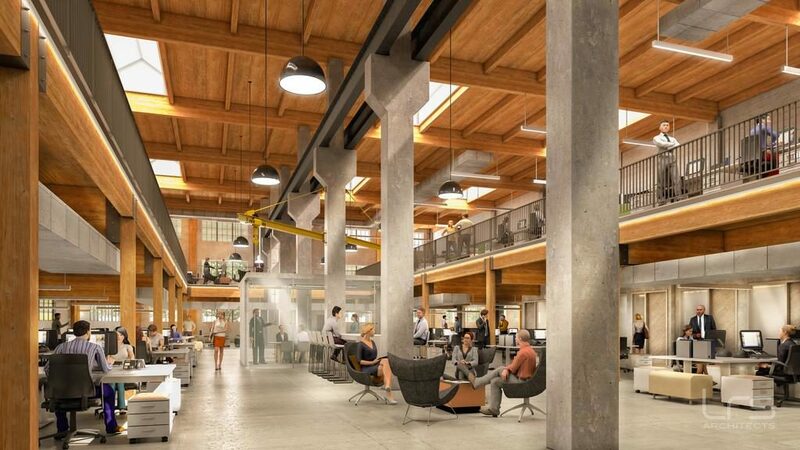 The Portland Business Journal wrote about how an old gear and machine works factory at 1715 NW 17th Ave will become some of Portland’s newest creative office space. 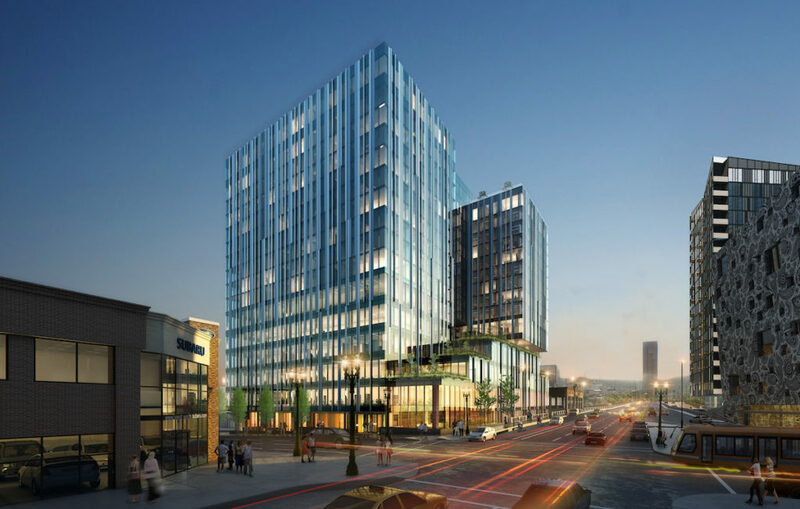 The Oregonian wrote about the 12-story tower proposed adjacent to the Weatherly Building. The proposal to re-legalize duplexes, triplexes and fourplexes throughout Oregon could be undermined by existing private deeds that prohibit anything other than single family homes, writes the Oregonian. Senate Bill 10, sponsored by Senate President Peter Courtney, would require cities to allow dense development along major transit routes, writes the Oregonian. Portland would be required to allow up to 75 units per acre with a quarter mile of frequent transit, and up to 45 units per acre within a half mile. 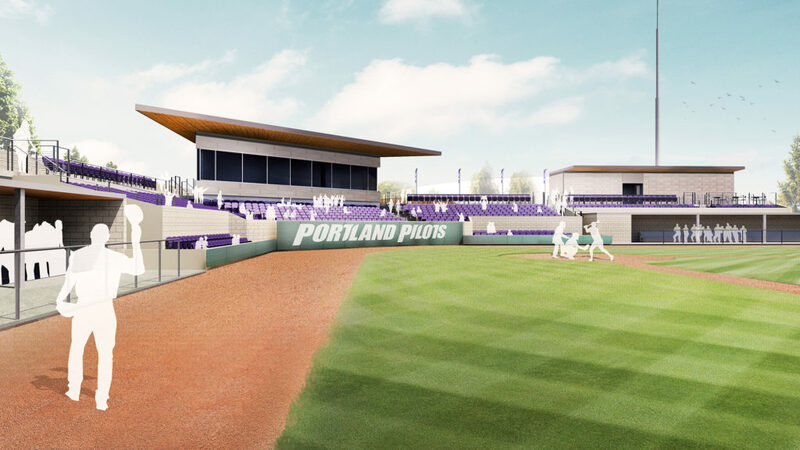 Property magnate Greg Goodman objects to Multnomah County’s proposed $4.3 million purchase of a building at 333 SW Park Ave, according to the Willamette Week. BikePortland asked whether the Oregon Department of Transportation’s I-5 Rose Quarter plan is compatible with the Albina Vision. In the Business Tribune architecture critic Brian Libby argued for making the vision a reality. The Portland Business Journal reported that Andrea Durbin, executive director of the Oregon Environmental Council, is set to be the new director of the Bureau of Planning and Sustainability. A new 12-story office building designed by Perkins+Will is proposed adjacent to the Weatherly Building, as part of a project that will also include the seismic retrofit of the 1927 landmark stucture. 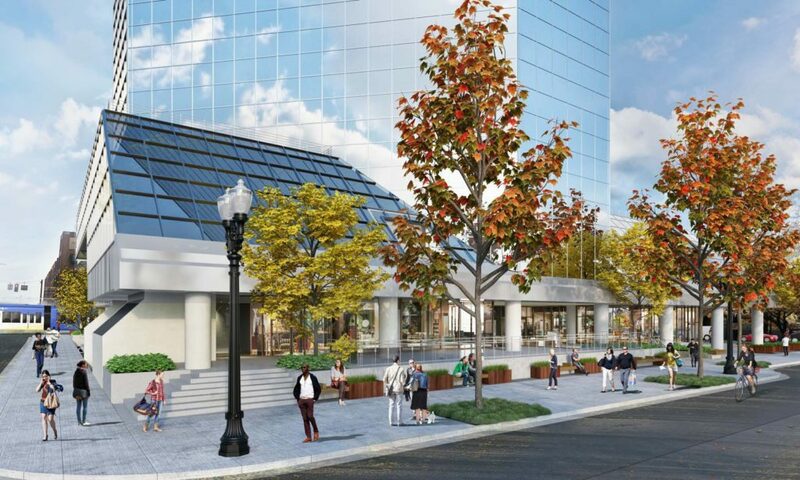 A 12-story mixed-use office and retail building at 510 SE Morrison St, adjacent to the Weatherly Building, has been proposed by developer Unico. At an initial Design Advice meeting the Landmarks Commission “recommended changes to the building’s massing, materials and height“*, writes the Daily Journal of Commerce. The Oregonian reported that Portland is drafting new historic preservation rules intended “to wrest back local control“. 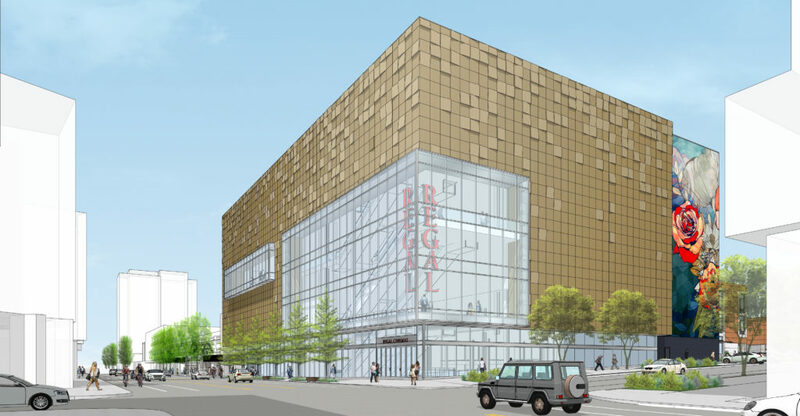 The second phase of the The Redd will completely open on March 2, according to a story in the Business Tribune. NBP Capital has acquired the former Sunshine Dairy site at 801 NE 21st Ave, writes the Portland Business Journal (subscription required). 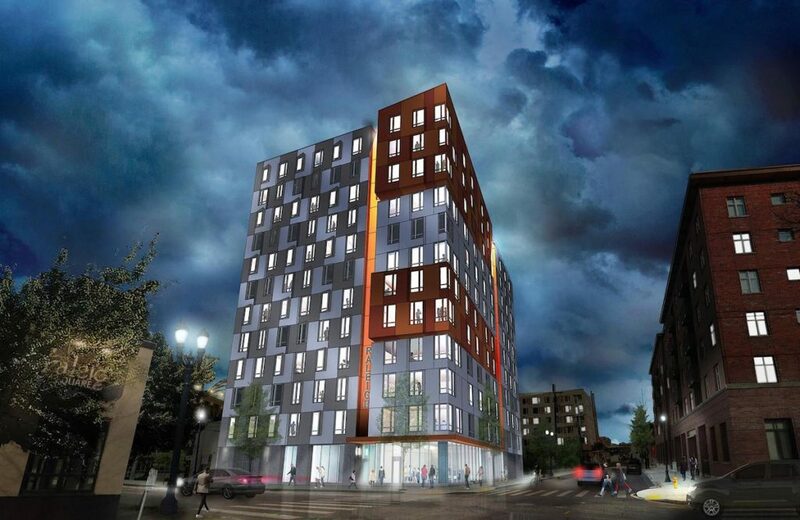 An Early Assistance application was submitted in January for a 7-story building with 300-350 residential units.